I have a beautiful plate with this sticker. But I can't figure out how to upload the picture! 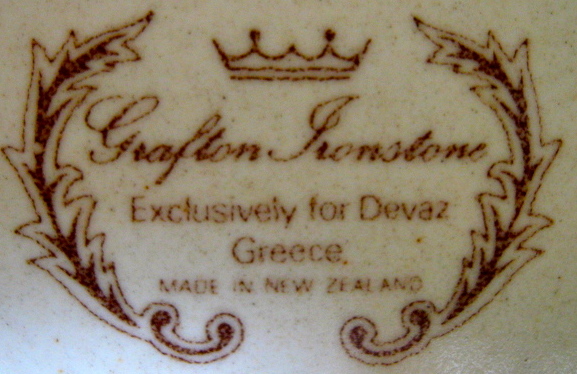 Val Monk page 112 says that Devaz were a customer when Crown Lynn owned Royal Grafton. I have a couple of pieces with this backstamp. 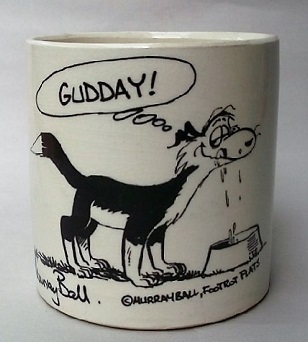 We have a photo already, but you can always email pics to the site at newzealandpottery@gmail.com and I will load them for you. Cheers Ev. Yes I saw the photo of the sticker but do you have a photo of the design? I couldn't find it. Can you direct me to it please. Mine are Cherry Blossom and Last Wave, though I know that there are other patterns as well with that backstamp. We have around 700 patterns in the Crown Lynn Patterns Gallery, but there are many more to find yet! If you have time to look through them all, click on the Gallery heading under our Forum header and you will find the Patterns Gallery in there ..... or email a photo. I would assume it is Last Wave. I had already looked in the pattern gallery but I'll look again. I will also email a photo. Last Wave is such a striking dramatic pattern! I should have cropped it! 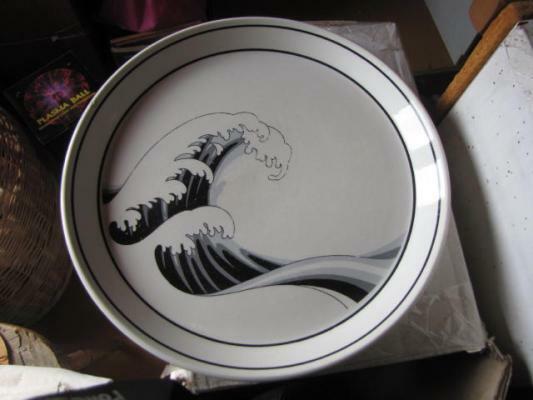 Interesting to see the photo of the plate with the Last Wave pattern it reminded me that I had a similar plate but with a blossom pattern and eventually found it hiding under some Pioneeer plates. Can't see this pattern on the gallery but as it has no name I may have missed it . The plate is a huge 305mm (12 inches) Diameter. I tripped over a list of patterns in the Decoration Advices last night that had GR after them and instantly thought of this topic... Directly after Royal Wedding d993 which was in 1981. I hope I am assuming correctly that these were made for Devaz in Greece! Nowhere else in the 72 pages of Decoration Advices is there GR after an entry. So my Cherry Blossom plate will be Apple Blossom in this case? 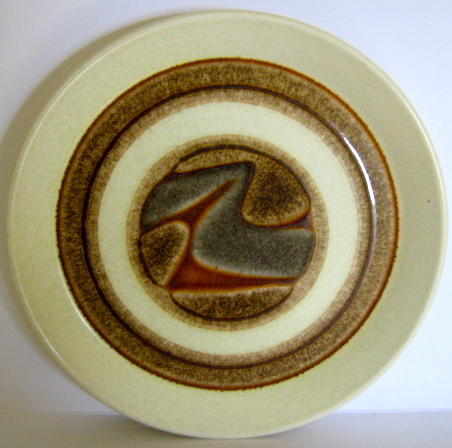 I have found examples in my collection of two Landscape design side plates with exactly the same front design but one is backstamped Earthstone Landscape D625 and the other simply the Devas logo but no number. 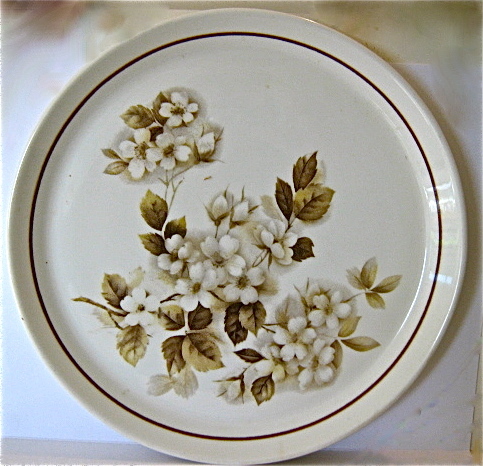 The large Devas dinner plate with Salimar design shown above is also without a number . So are the prefixed list of nimbers that you have Ev from a production record so they would know which design to use when doing an order for Greece? . Just another odd bit of Crown Lynn method.? That is a good point Jonno. I too had noticed that there was no pattern name or number on the Devaz wares. It was just a fluke that I picked up on the GR, as I look at these many times a week. There are no dates ... I can only work out time frames from patterns recorded or for example the Royal Wedding d993 which is Charles and Diana. Yes there is a system in place, but is it for orders ... or for work completed? There is one Amendment page which should give me a clue .... but I haven't worked it out yet. There are 72 pages with 3,650 entries filled with pattern names and numbers and sometimes extra info. Some pages record the backstamp info eg. Kelston, Crown Lynn, Crown Lynn Vit. Some record the distributor eg. United Stores, McKenzies, Bond & Bond. These are from around 1964 to 1984ish which gave me the Patterns Database initially, but there are many patterns not recorded ..... so I am at a loss ????? Never the less there is an enormous amount of info in these and they help in so many ways to find answers .... to never ending questions. Thanks for that informative reply Ev I understand the difficulty in getting to understand someones code or notes some years later. I am reminded of reading some copies of time sheets on the gallery way back when I had not long been a member and was very surprised that such a large company with the numbers of staff that they employed was still using handwritten time sheet systems when most other companies had installed time clocks and similar more modern systems for time and wages especially when multiple shifts were part of the process. CL were very inventive and progressive in matters related to production but perhaps they were not so switched on in other areas? Thanks Jonno as your thoughts provoked me to check out the Amendment Memo. Each entry in the Index of Decoration Advices is a Memo No, that relates to the pattern entered. One amendment refers to the engravings on the reverse side of the Memo. Which are details in a code eg. the ring size and colour ...? At the bottom of the amendments to three patterns [Sharon, Moonflower and Spring Garden] there is a note that asks to amend your copies, as it is too difficult to change them on the computer at this stage. Crown Lynn first had a computer in 1969 - the Amendment is dated 6th March 1979. I was using a computer in the mid 1980's and to say that it was extremely basic compared to what is available today is an understatement! Every page has been stamped by the Auckland Museum to say that these copies may not be reproduced without the permission of the Museum. I too worked in companies that had computors back in the late 60's & 70's but they were huge mainframe machines that were operated by specialists and were running programmes designed to handle the daily and monthly accounting needs of the company. Any other data such as sales information was a secondary output and there were very limited search facilities available. Generally one had to pore through huge printouts to find answers. In the early days all the input was by punch card. 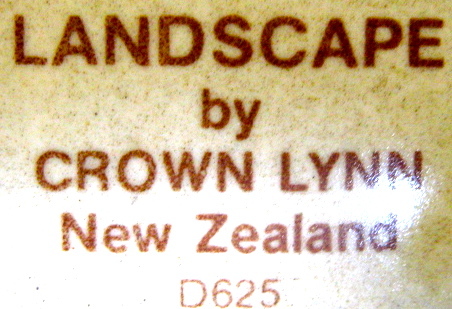 So in entering the Genuine Ironstone Geo pattern yesterday I was struck by the curious anomaly that in contrast to Crown Lynn patterns many GI patterns had no reference whatsoever no name & no number. So how did they know which pattern to produce when they received a repeat order?. Remember there were no digital cameras either. My guess is that they had a handwritten reference book or card index, , a bit like the handwritten timesheet information that I mentioned earlier in this thread together with long standing employees that knew the patterns that their section produced and who they were made for perhaps exclusively in the case of GI. As all computor data is numerically based it is very strange that GI patterns did not have a numerical reference of some type unless they were never entered into the computor data stream. 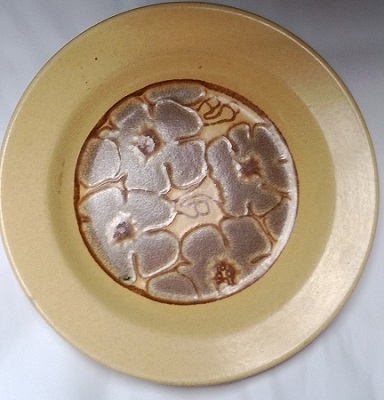 Came across a few plates including dessert dishes today. I was amazed to see the label on the back. Do we have this pattern in the gallery? 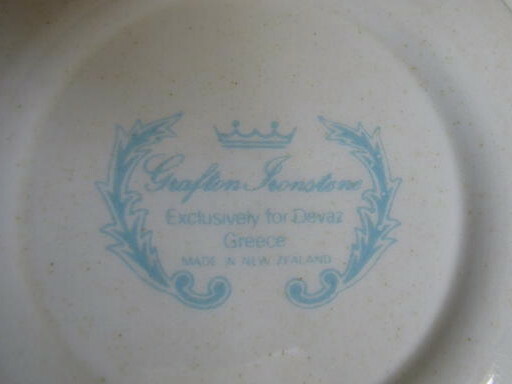 I've only seen 2 Devaz Greece, Last Wave and a blossom plate with no name. The dessert/soup/salad bowls are huge, not the usual Forma dessert dish. Ev wrote: I tripped over a list of patterns in the Decoration Advices last night that had GR after them and instantly thought of this topic... Directly after Royal Wedding d993 which was in 1981. Hi Glenys ..... I will merge your thread to this one. Your lovely Devaz pattern is Seascape d747 and I have a Devaz dessert bowl and it stands out as very different to anything else that I have. Oh yes, that is it! Darn, I was going to resell them but now I want to keep them! 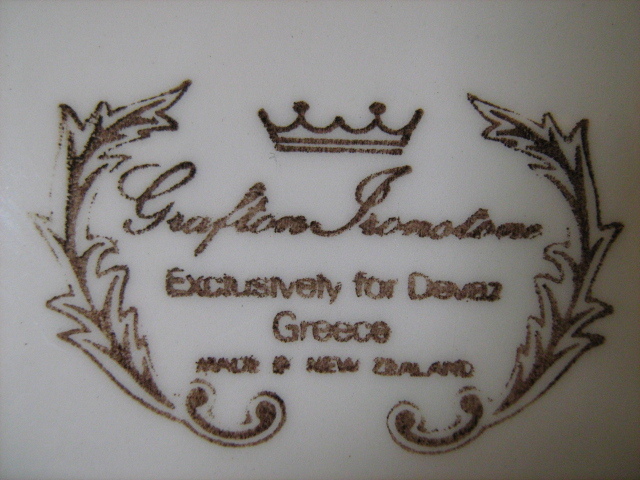 We have to add Camille to this list as I found a Devaz Greece bowl today in that pattern. 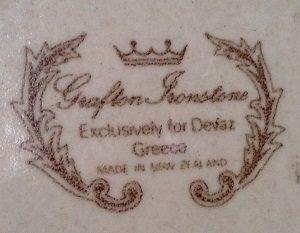 Very interesting ,Ev I first presumed that the GR is for Grafton and then I wondered of it was in fact for Greece. not that really matters. I love the way that your site lets me, and others , know when a new post arrives about a subject from a past discussion. 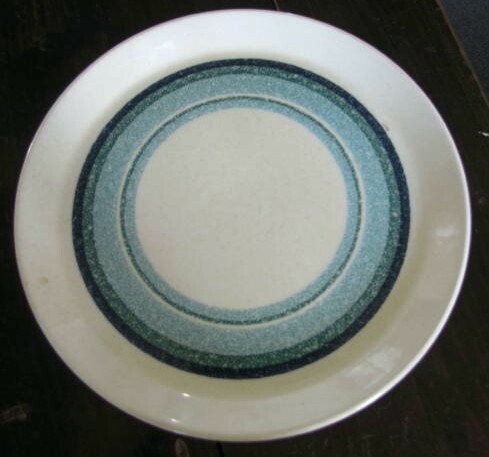 Glenys I am very keen to complete our Seascape dinner set. Especially dessert bowls. We are totally happy to pay. Can you please send me a private message if you can help. most unusual and feel very strong - nothing like the Forma Seascape ones at all.